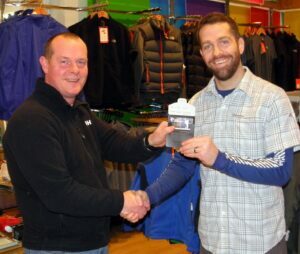 Cal Lee has won a €200.00 gift card from Great Outdoors! Congratulations to Cal Lee, winner of this January’s €200 gift card give-away. All he had to do was sign up to our mailing list on-line. You can drop in and fill in to win or sign up on-line via our homepage or look for our Facebook “Join My List” tab!